Hibiscus is a flowering plant in the mallow family. It is native to warm, tropical regions and thrives indoors or outdoors. The plant produces pink, yellow, white or red trumpet-shaped flowers with five or more petals. 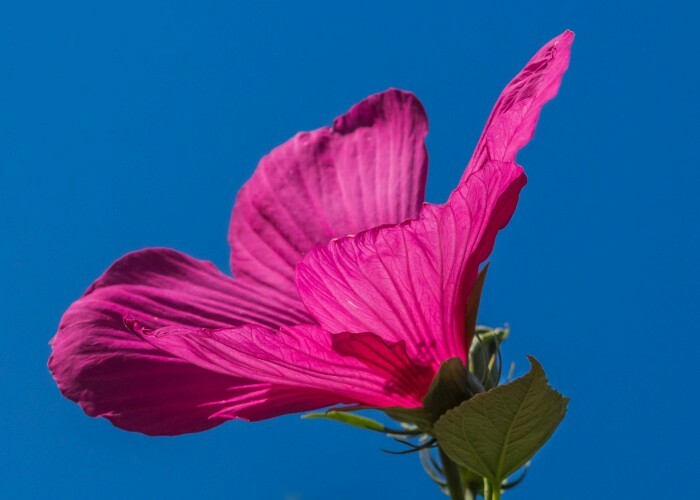 In this article, we will explore hibiscus flower health benefits. Lowering blood pressure is one of the main health benefits of the hibiscus flower. In 1999, a study published in the Journal of Ethnopharmacology showed that when people suffering from hypertension took hibiscus tea for 12 days, systolic blood pressure went down by 11.2 percent while diastolic blood pressure reduced by 10.7 percent. A different study in 2007 published in the journal of Planta Medica indicated that dry hibiscus extracts had significant antihypertensive effects on people with stage 1 or 2 hypertension. The study also showed that hibiscus extracts were highly tolerated and safe compared to conventional drugs. Hibiscus flowers are high in antioxidants, vitamin A, C, malic acid, and anthocyanins. These antioxidants help the body to fight off cell damage perpetrated by free radicals. A combination of these vitamins and antioxidants protect the body against infections by boosting the immune system and making you less vulnerable to bugs going around at any time. Apart from antioxidants and vitamins, hibiscus flowers have a wealth of essential macro and micro-nutrients such as protein, iron, and zinc as well as copper. In addition, the flowers have omega-3 and fatty acids making them a handy superfood to have at home. Research has found that flavonoid antioxidants in hibiscus flowers improve your mood and assist in alleviating depression. A study in 2012 published in the Indian Journal of Pharmacology tested the effects of hibiscus flavonoids on mice. The results showed that anthocyanins and anthocyanidins have anti-depressive ability and hold a lot of potential in the treatment of central nervous system disorders. Studies show that hibiscus flower extracts taken orally have the potential of lowering cholesterol levels by as much as 22 percent. The study conducted on animals also indicated that hibiscus increases LDL levels-good cholesterol. Researchers concluded that saponins present in hibiscus flowers are responsible for binding cholesterol and preventing it from getting absorbed in the body. Hibiscus flowers are used in many skincare products because of their anti-aging and moisturizing abilities as they contain alpha-hydroxy acids (AHAs). AHAs exfoliate, unclog skin pores and encourage smoother, younger-looking skin. Ultimately, while hibiscus flower health benefits have the potential of improving your health, pregnant women, lactating women, and people with low blood pressure as well as diabetics should avoid using the flowers’ extracts orally. Hibiscus is a truly versatile flower-lovely to look at, and full of great health benefits! Hibiscus is a flowering plant in the mallow family. It is native to warm, tropical regions and thrives indoors or outdoors. The plant produces pink, yellow, white or red trumpet-shaped flowers with five or more petal. This article is about hibiscus flower health benefits.